After a midfield battle in the opening minutes of the game, the Blues had back-to-back attempts. First, it was skipper Sunil Chhetri who went inches over with his freekick from just outside the box, then it was Udanta Singh whose dangerous cut-back for Miku was cleared by a defender. A minute past the half-hour mark, the hosts pushed up and earned a penalty through Enric Franquesa who was brought down in the box by Rino Anto. Xavier Quintilla stepped up and sent the ball to Gurpreet’s right. While the Bengaluru ’keeper, who was playing his first game of the tour after being laid low by chicken pox, guessed correctly, the take had too much on it. 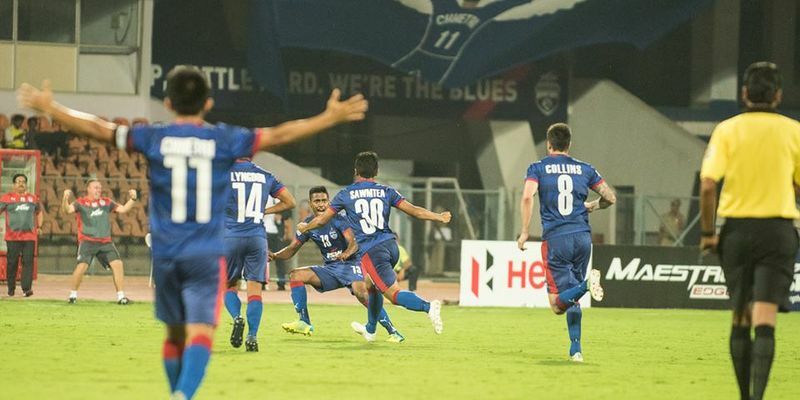 The second half produced a much better performance from Bengaluru who created a lot of chances in the final third. Xisco Hernandez and Chhetri produced some quality moments but fell short with the final finish. Bengaluru’s defence, steered by the ever-dependable Juanan Gonzalez, was compact and did extremely well to hold the fort with Villarreal throwing bodies forward in an attempt to breach the last line of Bengaluru men.